In December, 2002, we received a generous donation of a 40 cm (16″) Meade LX200 Schmidt-Cassegrain telescope from Judy and Jay Anderson. The donation was made on the condition that it be named after Judy’s father, Bruce Ewen. This telescope is housed in a four meter AstroHaven clamshell dome on the roof of University College. 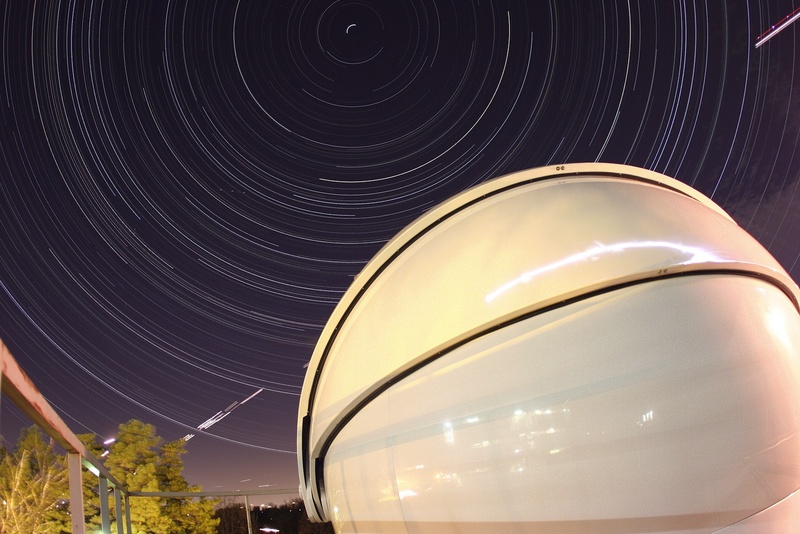 The Ewen telescope is equipped with a CCD camera and appropriate filters for use in an urban environment.